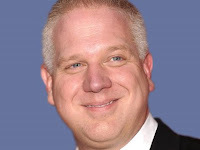 Previously on the Review, Glenn Beck's "genius" for reactionary propaganda was analyzed. The following piece offers more analysis about why a supposed news channel would hire and retain a highly controversial and obvious propagandist for 30 months. According to Fox president, Roger Ailes, Beck had to leave Fox because of his plans, not the content or style of his communication! In other words, Fox has no interest in correcting their problem of propagating misinformation. Originally published in Truthout, it was entitled "14 Propaganda Techniques Fox "News" Uses to Brainwash Americans." It was written by Dr. Cynthia Boaz, and she gave her permission to republish this here. Sections titled in red are propaganda techniques that Glenn Beck has used. Dr. Cynthia Boaz is assistant professor of political science at Sonoma State University, where her areas of expertise include quality of democracy, nonviolent struggle, civil resistance, and political communication and media, and an affiliated scholar at the UNESCO Chair of Philosophy for Peace International Master in Peace, Conflict, and Development Studies at Universitat Jaume I in Castellon, Spain. She is also an analyst and consultant on nonviolent action, with special emphasis on the Iran and Burma cases. She is Vice President of the Metta Center for Nonviolence and on the board of Project Censored and the Media Freedom Foundation. Dr. Boaz is also a contributing writer and adviser to Truthout.org and former associate editor of Peace and Change Journal. 1. Panic Mongering. This goes one step beyond simple fear mongering. With panic mongering, there is never a break from the fear. The idea is to terrify and terrorize the audience during every waking moment. From Muslims to swine flu to recession to homosexuals to immigrants to the rapture itself, the belief over at Fox seems to be that if your fight-or-flight reflexes aren't activated, you aren't alive. This of course raises the question: why terrorize your own audience? Because it is the fastest way to bypasses the rational brain. In other words, when people are afraid, they don't think rationally. And when they can't think rationally, they'll believe anything. 2. Character Assassination/Ad Hominem. Fox does not like to waste time debating the idea. Instead, they prefer a quicker route to dispensing with their opponents: go after the person's credibility, motives, intelligence, character, or, if necessary, sanity. No category of character assassination is off the table and no offense is beneath them. Fox and like-minded media figures also use ad hominem attacks not just against individuals, but entire categories of people in an effort to discredit the ideas of every person who is seen to fall into that category, e.g. "liberals," "hippies," "progressives" etc. This form of argument - if it can be called that - leaves no room for genuine debate over ideas, so by definition, it is undemocratic. Not to mention just plain crass. 3. Projection/Flipping. This one is frustrating for the viewer who is trying to actually follow the argument. It involves taking whatever underhanded tactic you're using and then accusing your opponent of doing it to you first. We see this frequently in the immigration discussion, where anti-racists are accused of racism, or in the climate change debate, where those who argue for human causes of the phenomenon are accused of not having science or facts on their side. It's often called upon when the media host finds themselves on the ropes in the debate. 4. Rewriting History. This is another way of saying that propagandists make the facts fit their worldview. The Downing Street Memos on the Iraq war were a classic example of this on a massive scale, but it happens daily and over smaller issues as well. A recent case in point is Palin's mangling of the Paul Revere ride, which Fox reporters have bent over backward to validate. Why lie about the historical facts, even when they can be demonstrated to be false? Well, because dogmatic minds actually find it easier to reject reality than to update their viewpoints. They will literally rewrite history if it serves their interests. And they'll often speak with such authority that the casual viewer will be tempted to question what they knew as fact. 5. Scapegoating/Othering. This works best when people feel insecure or scared. It's technically a form of both fear mongering and diversion, but it is so pervasive that it deserves its own category. The simple idea is that if you can find a group to blame for social or economic problems, you can then go on to a) justify violence/dehumanization of them, and b) subvert responsibility for any harm that may befall them as a result. 6. Conflating Violence With Power and Opposition to Violence With Weakness. This is more of what I'd call a "meta-frame" (a deeply held belief) than a media technique, but it is manifested in the ways news is reported constantly. For example, terms like "show of strength" are often used to describe acts of repression, such as those by the Iranian regime against the protesters in the summer of 2009. There are several concerning consequences of this form of conflation. First, it has the potential to make people feel falsely emboldened by shows of force - it can turn wars into sporting events. Secondly, especially in the context of American politics, displays of violence - whether manifested in war or debates about the Second Amendment - are seen as noble and (in an especially surreal irony) moral. Violence become synonymous with power, patriotism and piety. 7. Bullying. This is a favorite technique of several Fox commentators. That it continues to be employed demonstrates that it seems to have some efficacy. Bullying and yelling works best on people who come to the conversation with a lack of confidence, either in themselves or their grasp of the subject being discussed. The bully exploits this lack of confidence by berating the guest into submission or compliance. Often, less self-possessed people will feel shame and anxiety when being berated and the quickest way to end the immediate discomfort is to cede authority to the bully. The bully is then able to interpret that as a "win." 8. Confusion. As with the preceding technique, this one works best on an audience that is less confident and self-possessed. The idea is to deliberately confuse the argument, but insist that the logic is airtight and imply that anyone who disagrees is either too dumb or too fanatical to follow along. Less independent minds will interpret the confusion technique as a form of sophisticated thinking, thereby giving the user's claims veracity in the viewer's mind. 9. Populism. This is especially popular in election years. The speakers identifies themselves as one of "the people" and the target of their ire as an enemy of the people. The opponent is always "elitist" or a "bureaucrat" or a "government insider" or some other category that is not the people. The idea is to make the opponent harder to relate to and harder to empathize with. It often goes hand in hand with scapegoating. A common logical fallacy with populism bias when used by the right is that accused "elitists" are almost always liberals - a category of political actors who, by definition, advocate for non-elite groups. 10. Invoking the Christian God. This is similar to othering and populism. With morality politics, the idea is to declare yourself and your allies as patriots, Christians and "real Americans" (those are inseparable categories in this line of thinking) and anyone who challenges them as not. Basically, God loves Fox and Republicans and America. And hates taxes and anyone who doesn't love those other three things. Because the speaker has been benedicted by God to speak on behalf of all Americans, any challenge is perceived as immoral. It's a cheap and easy technique used by all totalitarian entities from states to cults. 11. Saturation. There are three components to effective saturation: being repetitive, being ubiquitous and being consistent. The message must be repeated cover and over, it must be everywhere and it must be shared across commentators: e.g. "Saddam has WMD." Veracity and hard data have no relationship to the efficacy of saturation. There is a psychological effect of being exposed to the same message over and over, regardless of whether it's true or if it even makes sense, e.g., "Barack Obama wasn't born in the United States." If something is said enough times, by enough people, many will come to accept it as truth. Another example is Fox's own slogan of "Fair and Balanced." 13. Guilt by Association. This is a favorite of Glenn Beck and Andrew Breitbart, both of whom have used it to decimate the careers and lives of many good people. Here's how it works: if your cousin's college roommate's uncle's ex-wife attended a dinner party back in 1984 with Gorbachev's niece's ex-boyfriend's sister, then you, by extension are a communist set on destroying America. Period. 14. Diversion. This is where, when on the ropes, the media commentator suddenly takes the debate in a weird but predictable direction to avoid accountability. This is the point in the discussion where most Fox anchors start comparing the opponent to Saul Alinsky or invoking ACORN or Media Matters, in a desperate attempt to win through guilt by association. Or they'll talk about wanting to focus on "moving forward," as though by analyzing the current state of things or God forbid, how we got to this state of things, you have no regard for the future. Any attempt to bring the discussion back to the issue at hand will likely be called deflection, an ironic use of the technique of projection/flipping.